Even the longest journey begins with one single step. So the Chinese tell us. And maybe something good in Irish football - whether on or off the pitch - will be remembered as having started in an awful game in Gibraltar on Saturday night. It was truly one of the worst international games this correspondent has seen in 35 years of covering the Boys in Green. Ireland were pretty bad, Gibraltar were worse. In fact, the only winner was a wind that howled off the Mediterranean Sea and across the dreadful astro pitch - rendering ball control nigh on impossible. However, it was a victory to kick-start Mick McCarthy's return as Irish football supremo, secured by Jeff Hendrick's goal early in the second-half. The rest of the match was utterly forgettable but for the crucial fact that Hendrick's tasty finish means Ireland have three points in the bag in Group D.
For midfielder Conor Hourihane, who provided a few of the touches of real class on the night in the Victoria Stadium, it was just about getting the win. "The only way you'll build confidence and build a bit of momentum is by winning games of football and hopefully coming here and getting three points will be the start of that," said the Aston Villa man. "It's a foundation for us," he added. "Nothing more. "You have to start from somewhere and a win is a win at the end of the day, so we can take that on into Tuesday night against Georgia and go from there." Hourihane acknowledged that the conditions made good football a non-starter as the ball swirled and spun everywhere on the all-weather pitch. "It was a difficult night with the pitch and the wind and the conditions, but listen it was the same for both teams. "Credit to Gibraltar because they played well, but we're just delighted to get out of here with three points. It's not easy coming here in the circumstances, as other teams will find out later on in this group." 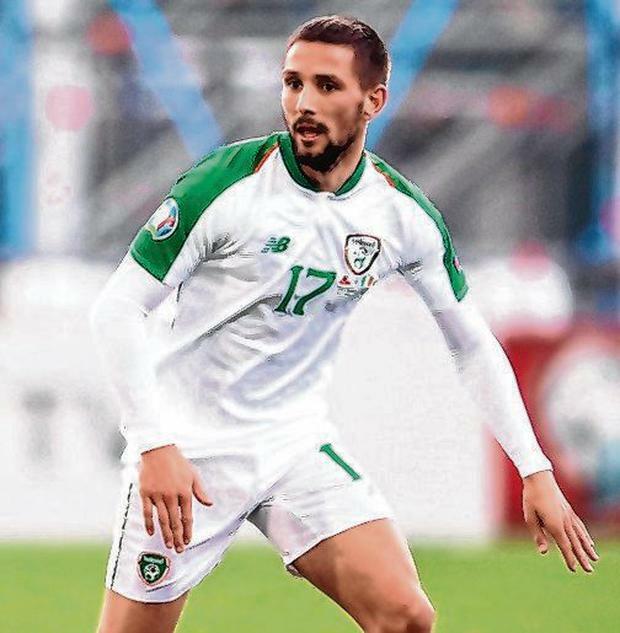 For Hourihane, the idea of a new start is something that gained traction as last week went on. He never actually said the last games of the Martin O'Neill-Roy Keane regime were grim, but you can read between the lines here as McCarthy has come in and put a spark into Irish football. "It's been great. It's been like a breath of fresh air. Everyone is on a new playing field and excited about the campaign ahead. "We wanted to get off to a good start here and thankfully we did. We need to get back home now and recover and prepare for Georgia. "We know they're not an easy side from previous games against them," Hourihane warned. "We'll have to get ready for that." Yet surely there is a bit of disappointment that Ireland didn't kick on after taking the lead just after the restart in the Victoria Stadium? "No, not at all," he insisted. "We know that it's not going to be easy for people to come here. We came here to get three points and we're leaving with three points so it's something to build on. And that's it, something to build on. "It's about momentum, the boss spoke to us about that - you have to start from somewhere. "Hopefully this is just a little starting block for us and we'll be ready for Tuesday night in Dublin in front of our own. "It'll be a lot tougher than it was against Gibraltar, Georgia are a decent side, so we'll have to play a little bit better - make that a lot better!" Hourihane was also happy with his own display against Gibraltar. "Yes, I got the nod to start in front of three or four others who could have been picked. "I felt like I had to take my chance and I feel as though I did alright." Which is exactly what Ireland did in this opening qualifier, they did alright. Watching the DVD of this game, the Swiss and Danish players, and their management, will not exactly be quaking in their boots. However, if Ireland knock one of them out of Euro 2020 next November, they may remember where it all began. Conor Hourihane certainly believes so.